Golden Dawn Rituals and Commentaries, Pat Zalewski. Self Published, Cairns, 4870, Australia, 2000; three volumes 1- 497 pp., $77.00 (US). 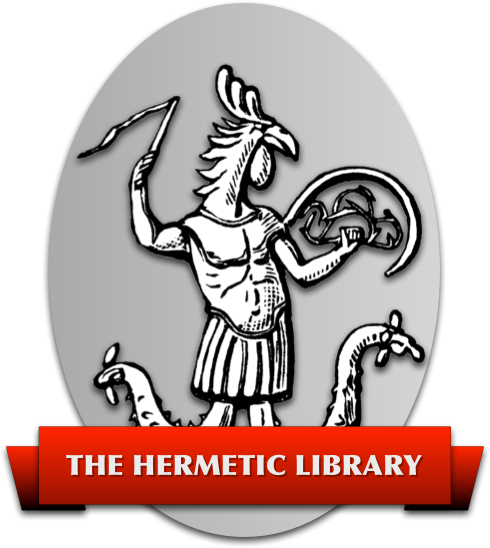 Zalewksi brings student of the Golden Dawn tradition previously unpublished material from one of the original off-shoot Temples of the Hermetic Order of the Golden Dawn. The work is published in three volumes, each dealing with a differing aspect of the Golden Dawn. Volume one includes an introduction and history of the Golden Dawn and the Smaragdum Thalasses (ST), the New Zealand branch of the Order founded by Dr. Felkin after the schism in 1903. The rest of the volume contains the grade ceremonies of the Outer Order as used by the ST. The reader may find that these ceremonies somewhat different from previously published versions. Zalewski states that they more closely resemble those used by the original GD and Mathers' Alpha et Omega than those used by the Stella Matutina. Volume two consists of Zalewksi's commentaries on the rituals, as well as anecdotal accounts from his teacher Jack Taylor, a 7=4 and long-time Hierophant under Mrs. Felkin. Each ritual commentary has its own introduction, diagrams, and figures, including tarot cards for each path. Those familiar with Zalekwski's The Magical Tarot of the Golden Dawn will find that these tarot cards differ from those used in his first self-published book. Where this volume shines, however, is in its publication of parts of a 6=5 paper on the god-forms and currents of energy in the temple by Moina Mathers. Volume three of Rituals and Commentaries focuses on the Portal and Adeptus Minor initiation rituals. This volume contains both the ritual texts and commentaries on these ceremonies, as well as the list of 302 endnotes. Aside from material written by Moina Mathers, Zalewksi provides a great deal of information on Golden Dawn ritual from a point of view that may be completely new to many readers. Not only does he discuss some of the standard interpretations of Golden Dawn material, but he also provides his own interpretations based on his experiences with Taylor and Chakra and Kundalini practice. Rather than reproducing the Mathers material in full, Zalewski instead incorporates it into his commentaries and diagrams, demonstrating where the various god-forms are stationed and their relation to the pattern of energy in the hall. It is interesting to note that the god-forms used throughout the grade ceremonies differ radically from what might be expected. God-forms used in the 0=0 hall are not necessarily the same as used in other halls, and the same god-form may be used by different officers or stations in different halls. Numerous diagrams are included in these volumes, some of which have never been printed before and many of which differ from those used by the Stella Matutina. As interesting and informative as this book may be, it still has its problems. Chief among these is the numerous typographical errors. A more thorough editing job would have easily remedied these difficulties. Originally the publication was meant to be released as separate books by Llewellyn Publications as the Z-5 series. Zalewski did not, however, adequately revise his work to compensate for the merging of the separate works into one whole. The result is noticeable redundancy. The introductory paragraphs to the ritual commentaries are largely repetitive, indicating that they were intended to be printed in separate books, providing minimal new information in each introduction. Published in 2000, the book was written in the early and mid 1990s. The historical information provided in the first volume, while interesting, is in some cases outdated, and includes several references to the publication dates of Zalewksi's own work. These volumes were apparently intended to be released before the publication of The Magical Tarot of the Golden Dawn, which was published a few years before. While the typos and occasional redundancy contained in Golden Dawn Rituals and Commentaries can be annoying at times, they in no manner outweigh the importance of the new information in its volumes. The Mathers information alone will make this book invaluable to Golden Dawn scholars and magicians alike. The anecdotal information from Taylor as well as Zalewski's unique insight (whether one agrees with his conclusions or not) more than make Golden Dawn Rituals and Commentaries a worthwhile book and an excellent addition to anyone's Golden Dawn library.